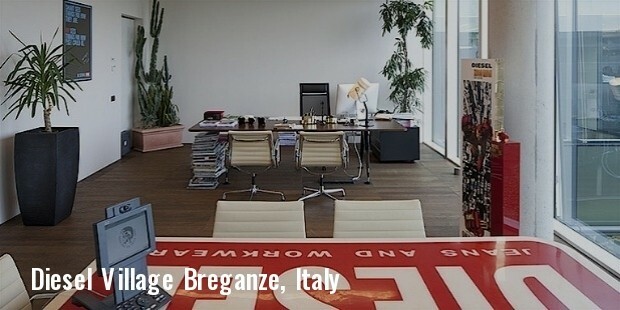 Diesel S.p.A. is an immensely popular international lifestyle company hailing from Italy. They are known for their innovative designs as well as the quality of their products. The company is known for producing a wide and aired range of collections of denim clothing and accessories. Since its inception Diesel has undergone extraordinary growth spurts and has evolved into one of the pioneers in the world of denim, challenging even the established luxury market. Their products are an excellent alternative to the luxury brands with their lofty prices. Diesel SpA is one Europe’s top manufacturers when it comes to designer jeans and similar apparel. Diesel SpA owns the upscale DieselStyleLab brand, the 55-DSL sportswear brand which was influenced by extreme sports and the Diesel Kids brand which focuses its attention on children’s clothing. Diesel also holds the license for a number of accessory products such as eyewear, manufactured by Safilo in Italy, shoes and other footwear made by Global Brand Marketing USA, luggage and various other leather goods by Principe in Italy and perfumes, fragrances and cosmetics which are manufactured by Marbert in Germany and marketed under the Diesel Plus Plus and Zero Plus labels. With voracious advertising they have established the popularity of their brand and currently they have more than 10,000 stores spread across 80 countries. They have also built up a vast network of franchised Diesel retail stores owned by the company, which specialise in selling their designer jeans and the products under the DieselStyleLab label. 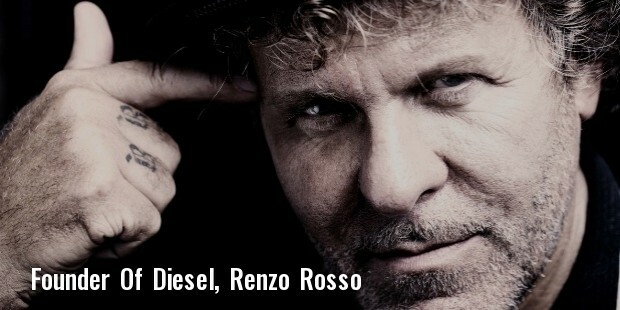 Diesel was founded by Italian fashion designer Renzo Rosso in 1978. At that time he was working for the clothing manufacturer named Moltex, owned by Adriano Goldschmied. He purchased a 40% stake in the company using money he had borrowed from his father. Soon the company was renamed as Diesel and started its new venture of manufacturing and marketing designer jeans. In 1985 Rosso completely purchased Goldschmied’s share of the company. 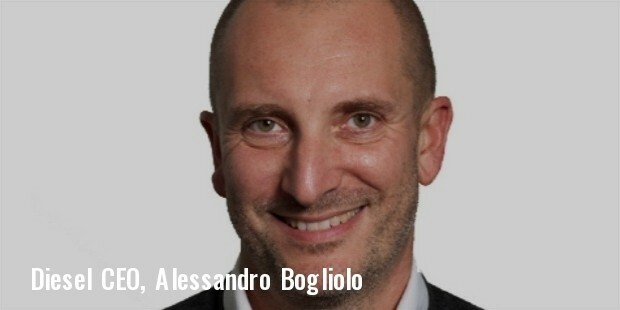 With complete control of the company as well as the brand Rosso set out to develop a new and innovative way of creating fashion. He began by hiring fresh graduates from design schools. He handpicked each candidate himself. He urged the new designer to ignore what was going on in the rest of the world’s fashion community and instead focus on creating designs that would reflect their own as well as Rosso’s personality. They were given free rein to create their designs. These unorthodox methods helped to grow the reputation of the company, calling their designs as avant-garde, which proved immensely popular among the European youth community. Diesel has always tried to give back to the community. The company donates a percentage of profits from every fiscal year to charities dedicated to helping the poor and the needy. Diesel is one the most well-known as well as affordable designer apparel brands in Europe. They are immensely popular among the youth, not only in Europe but also the world. They are known for their offbeat designs which draw the attention of their customers. When it comes to designer apparel and accessories at modest prices look no further than Diesel.